As an in-demand coach, consultant, speaker and thought leader who’s often tapped as an expert source for the media, Tolver helps individuals establish themselves at the “architect of their own life” to realize career, business, life and spiritual success—all in a way that promotes restoration, balance and nurturing one’s authentic self. Her services include career coaching and technology coaching. A self-professed “tech geek” and career technologist enamored by the latest and greatest gadgetry, Tolver is also an advocate who also promotes “people of color” getting more involved in science and technology. Tolver is a highly regarded source often tapped by the press, having been featured on CNN, CBS Radio, Yahoo, Glassdoor, Entrepreneur, the Washington Post and in a litany of radio interviews. 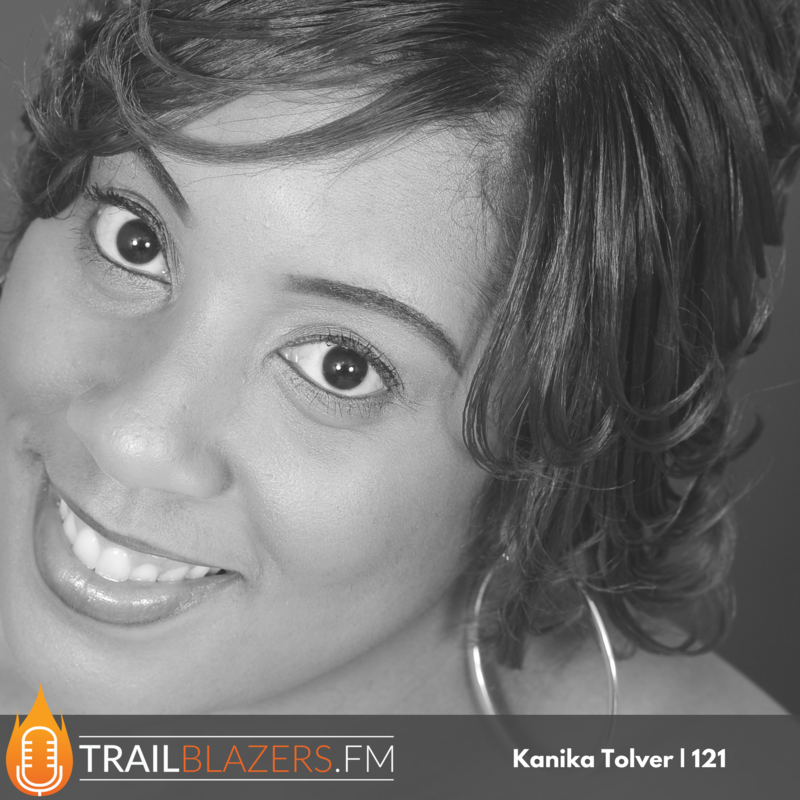 Kanika Tolver, who graduated from Bowie State University in Maryland, currently hails from Washington, DC where she has resided most of her life. What is your why? Why do you want to do this? Why do you want to leave your job? When you look at yourself as a product, you understand how to brand, market and sell yourself. What's something you witnessed that reminded you that life is good? What do you remember most about growing up in the DC area? What was the big goal for you growing up? Did you have the entrepreneurial gene early? How did you get into the federal government? What do you say to people about what to do in the transition from full time job to entrepreneurship? What was an early opportunity that made you realize that you could jump to this full time? What are some of the failures you had to work through and what you learned about yourself in the process? What do you love most about working in the career development space at the intersection of digital? What are some best first steps to success in branding your career? What prompted you to author your book? What do you see missing in relationships between men and women? What's your advice to others wanting to author their first book? I remember growing up with a unique sense of identity amongst people from the DC area. We had our own slang, our own music, our own sense of fashion. I just remember growing up going to family cook outs and listening to Go Go music. Initially, I wanted to get into computers. I was fascinated with getting on AOL and instant messenger. The goal was to get educated and stand on my own two feet as a black woman. I got into the federal government through a summer internship, through the stay in school program under the Clinton Administration. I began working at the Dept of Housing and Urban Development. I was moving up really fast. But I found that I had a very entrepreneurial spirit at an early age, but wasn't listening to it, because I was listening to what everyone else wanted me to be. You need to become a student of your career, not a student of the business. If your career is something you're going to use to transition into business, be very knowledgeable about your career. I looked at myself as a product, and not an employee. When you look at yourself as a product, you understand how to brand, market and sell yourself. All of us have to get to know ourselves and our brand, and once you're authentic you can articulate that. Don't listen to the people who have never done what you're trying to do. I failed at not understanding how to articulate my brand in an authentic way. Don't copy anyone else's style, be you! I wasn't creating good alliances and partnerships. I was thinking I had to be number one by myself. I study the global perspective and global brands to see how it's done. Focus in on telling the story on your resume and LinkedIn profile. The same we see Starbucks and Chick-Fil-A tell their story, make sure you're telling a story that shows what you uniquely offer a company. Align yourself and your brand with companies that actually gravitate towards professionals like you. Understand how to strategically market yourself with the kind of companies that you want to work for, and learn how to network with recruiters and professionals at the companies you want to work for. I'm going to stop giving to people that don't value me. Be you. Be your true authentic self. People are not in love with the idea of getting to know others on an intellectual level. It's all physical. I don't see people being companions and friends. Focus on coming up with a great book idea. Come up with something you really haven't seen articulated elsewhere.